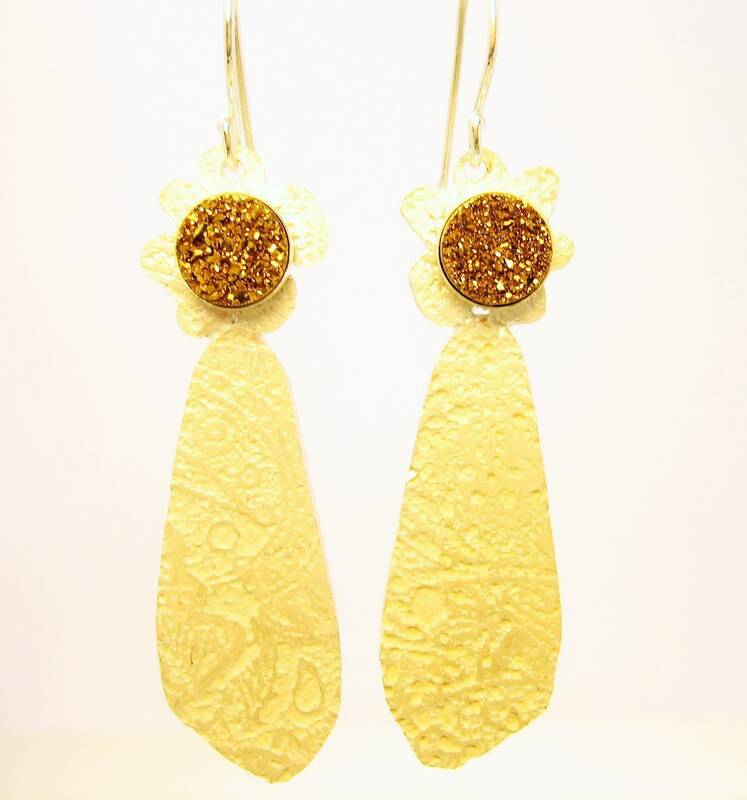 Beautifuul hand etched doily patterned silver earrings feature golden crusty druzy gems. These earrings are very lightweight and measure about 2 1/2" from top of earrings to bottom of earring. Super comfortable and look amazing on!